Angela Sparks Gallery, is an intimate art space, a delightful addition to the much loved and fashionable, ‘Hudsons Road’ in Spotswood. (Situated over the railway line from the café precinct.) 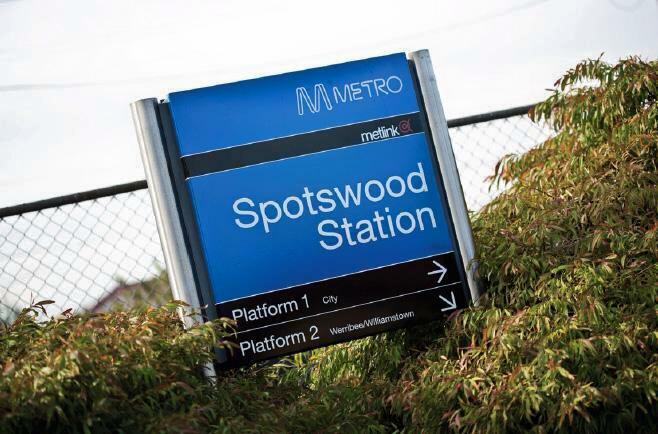 Only 7 km’s west of Melbourne CBD, take the Williamstown Exit, off the West Gate Bridge or take a Train on the Williamstown or Werribee line too Spotswood. With a variety of Genre’s, Contemporary Paintings, Abstract, Expressionism, Minimalism, using Quality Mediums, Recycled Materials and Found Objects. Art Pieces are created on the premises, in the art studio located above the gallery. Only the highest pigmented paints and inks are used, Premium acid free cotton papers. Quality linens and cotton canvas Imported from Europe, which are then professionally and locally framed, using Australian sustainable hardwood timbers such as Oak, Ash, Blackwood and Cedar. Exhibitions rotate throughout the year, commission pieces are available upon request; specific art pieces such as prints and photos, may be available in varying sizes. Gallery policy: Honesty, Integrity, Originality, Professionalism, Service with a Smile. Angela is Innovative, Audacious, Enthusiastic and Dedicated to her Art Practice. Please note: Angela Sparks Gallery is currently a drop off point for the ‘Melbourne Period Project’ supporting homeless women by providing sanitary products. To arrange drop off simply pop by during opening hours or call to arrange at time. Drop off items required tampons and sanitary pads. Your generosity is very much appreciated. Great work. Hope to visit soon. Thank you for sharing your thoughts. I really appreciate your efforts and I will be waiting for your further write ups thank you once again. I wanted to thank you for this good read!! Superb, what a weblog it is! This website presents valuable facts to us, keep it up. This is very attention-grabbing, You’re an excessively skilled blogger. I’ve joined your feed and sit up for seeking more of your wonderful post. Greetings! Very useful advice within this post! It is the little changes that produce the most important changes. again to read more, thanks for the info! I think this site holds some really fantastic info for everyone : D.
Enjoyed my visit to your gallery. I found your work to be interesting. Thank you for taking the time to show me around. Visual Arts Student. Melbourne. 22.